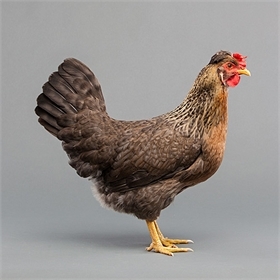 Started pullets are for people who don't have the time, equipment, or desire to care for chicks, or who are just too anxious for some fresh backyard eggs to start with babies. Cream Legbars are friendly, easily handled, good layers, and one of the most highly sought after breeds in this country. 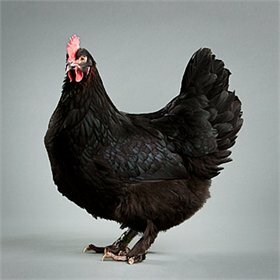 In fact, this is such a wonderful breed, it's one of the ultra-rare varieties Martha Stewart asked us to deliver to her for her own flock in 2016 and 2017. 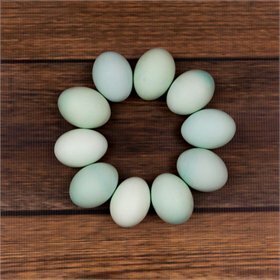 They lay a beautiful, light blueor blue-green egg fix to six times a week in their first year. Legbars are great foragers and do well avoiding predators in a free range environment, although they can easily adapt to small yards and runs, as well. And we love that their unusual little crests are tucked behind floppy combs, making them looking something like they're wearing berets accented with flowers--very cool!